The Bureau of Indian Standards (BIS) has granted First Licence to M/s Gujarat Alkalies and Chemicals Ltd for Liquid Chlorine on All India basis. This is the First Licence granted on All India basis. The licence has been made operative with effect from 12th April, 2018 for a period of one year. This product is in liquid form and stored in metal containers. It is usually used as a gas obtained by evaporating the liquid from the metal container. Liquid chlorine is used mainly in paper, pulp, textile bleaching, water sterilization and manufacture of chemicals. The move will facilitate industry to get a quality Liquid Chlorine with Standard Mark under BIS Certification Marks scheme. Indian Standard (IS) 646:1986 for Liquid Chlorine, Technical prescribes the requirements and the methods of sampling and test for liquid chlorine. 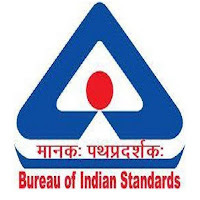 The Bureau of Indian Standards (BIS) is the National Standards Body of India working under the aegis of Ministry of Consumer Affairs, Food & Public Distribution, Government of India. It is established by the Bureau of Indian Standards Act, 1986. It also works as WTO-TBT (Technical Barriers to Trade) enquiry point for India. It is mandated for harmonious development of activities of standardization, marking and quality certification of goods and for matters connected. It is involved in various activities such as standards formulation, product certification scheme, compulsory registration scheme, foreign manufacturers certification scheme, hall marking scheme, laboratory services, laboratory recognition scheme, sale of Indian standards, consumer affairs activities etc. BIS has been providing benefits to national economy in number of ways such as by providing safe reliable quality goods, promoting exports and imports substitute, minimizing health hazards to consumers etc. through standardization, certification and testing.